Besides the obvious difference in looks, there are more differences between an Android phone and iOS than you think. These differences are related to mobile platforms and are not easy to notice. Both of them are trying to impress their users so that they don’t switch to another phone, meaning they are constantly trying to improve, but some features remain the same. If you are in a doubt, you’ll make the decision easier if you get familiar will the differences between the two in several aspects. Privacy is highly important, especially in today’s world. Regarding that matter, Apple has always been stressing out that they have no interest in collecting data about their users and that more information is stored on the phone than on the cloud. Of course, they collect data necessary for certain features to work, for example, Find My iPhone needs your location to work properly. The data that Apple gets is anonymous and not traceable, meaning they don’t know from who it came. On the other hand, Android collects all sorts of data so that it can create a personal experience for every user, according to their preferences. As this personal experience has been brought to an incredibly high level, some people pose the question on how exactly Google uses the data. Still, the company states the data has always been handed in the most responsible way. In short, the difference in prices between Android phones and the iOS is still present. Even though you can find cheaper phones in big cities like New York, London and Sydney, you will always find that iOS phones are more expensive than Android. The only device that uses iOS is the iPhone, manufactured by Apple and these devices usually cost around $1000. Ok, you can find some models like iPhone SE for $400, but a better model like iPhone 8 will cost you around $700. On the other hand, Android smartphones come with truly various prices because the price depends on the brand and the model of a specific phone. The newest Samsung models cost as much as the most expensive iPhone but the cheapest ones can be bought at really affordable prices. The additional benefit of Android phones is that they have more free apps, which will affect the final cost of the phone. This is definitely the biggest issue when it comes to using iPhones. As the company’s goal is for you to switch completely to their devices and software, they don’t enable iPhones to be compatible with devices that don’t use the same operating system. Of course, it’s possible to relatively easy switch platforms but you will definitely have problems if you try to use your Android to access Apple TV. It’s better to get professional guidance when asking about the levels of compatibility between the two. Many users do it in electronic device stores like Personal Digital to get the correct information. That way, you’ll know which issues you can expect if you try to switch platforms. 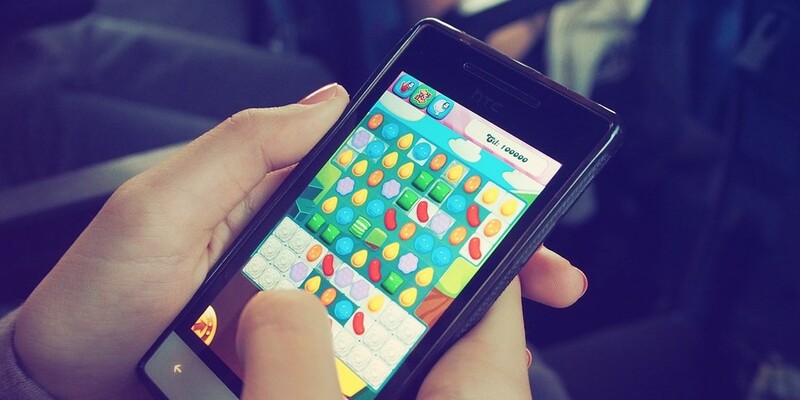 The mobile gaming industry is an expanding market all over the world, so it’s no wonder that for some people the choice of games on their phone makes all the difference they need. Even though the majority of available mobile games are released on both the iOS and Android, this time the favor goes to the iOS. The reason behind this is that many games get introduced on the iOS first, while a certain number of them are not available for Android at all, for example, Device 6, Tiny Wings and Infinity Blade. Overall, there are about 200 games that are made for iOS exclusively. In other words, a gamer would probably choose the iPhone as a safer choice. All in all, it all comes down to you regarding the final decision. The truth is, owning an iPhone is a form of a status symbol, which can be a big plus for some users, while others couldn’t care less. iPhone has a certain status and many people buy it as a sign of success. On the other hand, Android phones are available for almost anybody, as they come in various prices, where the difference can be almost $1000. You only need to choose the brand and model that suits you and is affordable to you. The one thing to have in mind when choosing between them is that you simply need to think about the benefits and disadvantages that will affect you the most. You may not care about certain features, so pay attention only to those that affect your everyday life. And don’t ruch your decision – ask a professional for advice and think hard. In the end, you’re buying it to improve an aspect of your life, so don’t make any rash decisions.